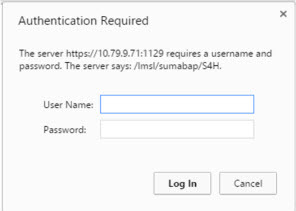 This blog includes installation of S/4HANA 1809 FPS0 and will focus on creating Sandbox type instance with co-deployed (embedded) gateway. 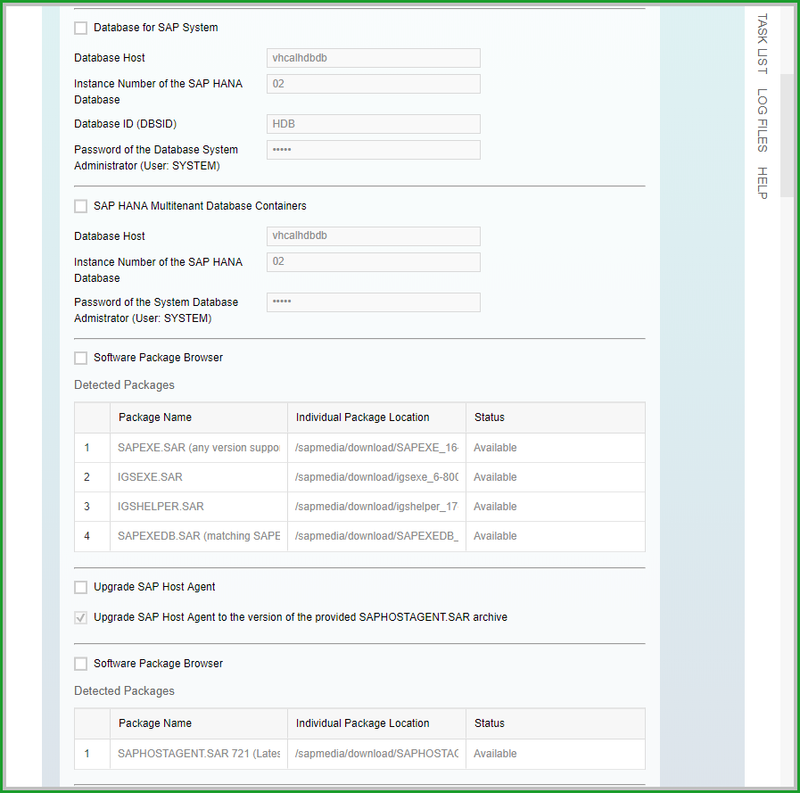 The minimum required is HANA 2.0 Support Package 03 Revision 33 but it is generally recommended to go to the highest revision available. First unpack the archive to folder HANA2_33 and LCAPPS_33 together if you need integrated LiveCache so it can be installed as a combined install. Hi Malesh, thanks for your helpful document, do you have an idea, where we can find the passwords used in the export. I was stuck on the DDIC change password. The procedure has been revised so you don’t need the SYSTEM/DDIC password. i would advise you please check the installation log files /tmp/sapinst_instdir/..
over the weekend i provised S4/HANA1809, did not experiece any issue. I would like to know the exact step of execution, Just like “Executing Postload steps in the database” is taking 15+ Minute. 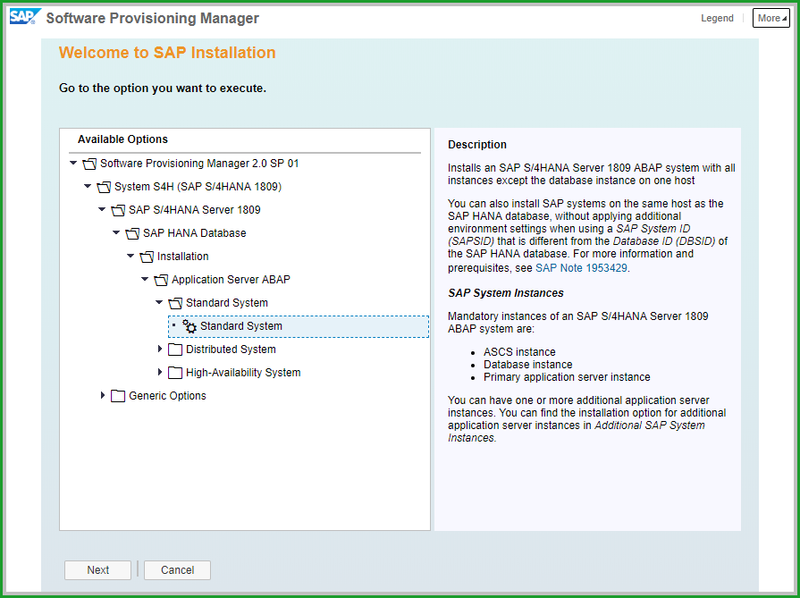 Is there any SAP Product details where i can get the knowledge about the S/4 HANA 1809 Installation step. If this is regarding the SWPM, it took 30 mins for database restore. Other than that it takes a little bit of time for verification of files S4CORE103_INST_EXPORT_*.zip. There is no long step in the process. I constantly receive errors that S4CORE103_INST_EXPORT_14.zip is not accepted. 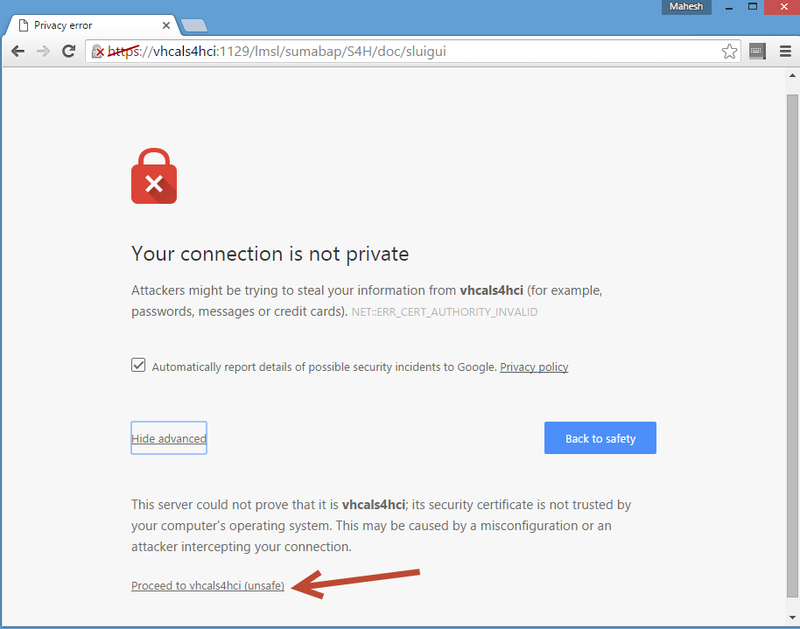 I have already re-downloaded the file via browser and via download manager – the error persists. Is there a possibility that the file is corrupt? The Database has enough space in the mentioned place. Ps. Download was yesterday, redownload today. The sapinst logs should indicate where the probem is. I suggest that you unzip at os level and check if it does extract successfully. I just installed a new 1809 system for one of my client . 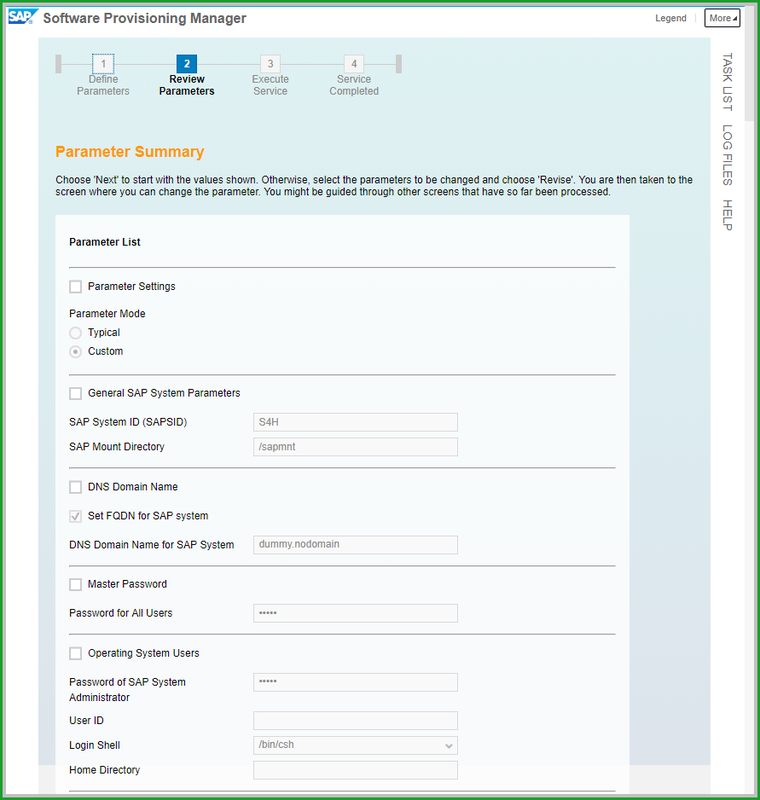 The installation is without Fiori .We did not use MP. 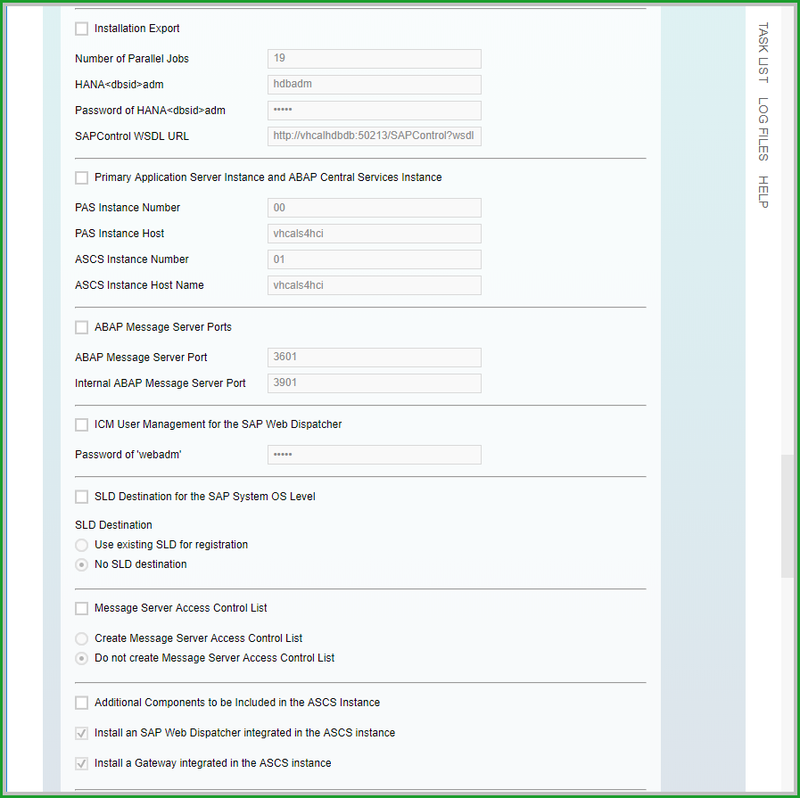 The installation using SWPM completed successfully and all software component in your blog are visible except Fiori. However in the product section I only have S/4 HANA 1809 On premise . 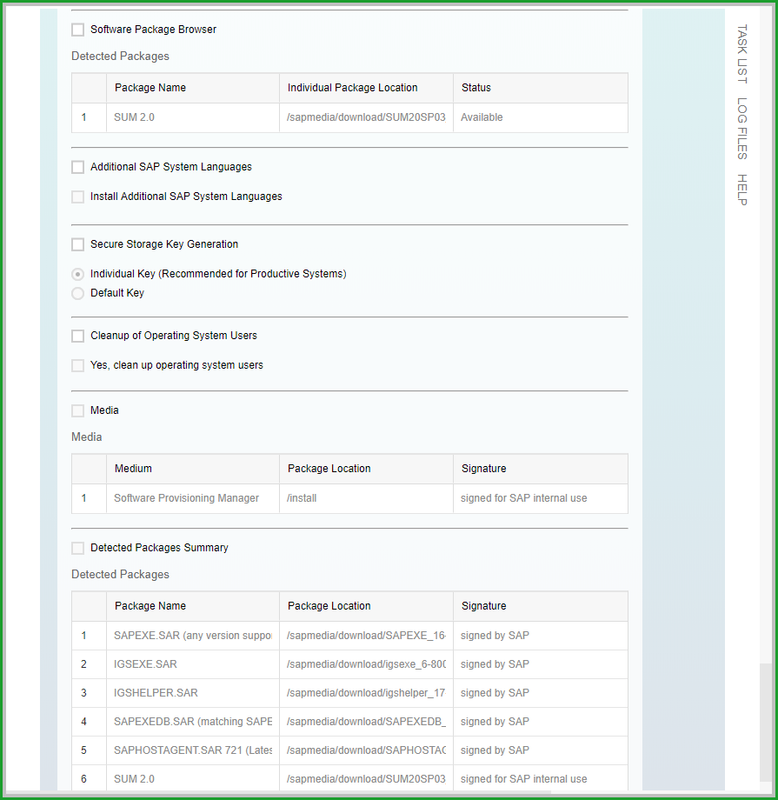 The SAP S/4 HANA foundation is not visible in the installed product section . Is this a BUG with SWPM? 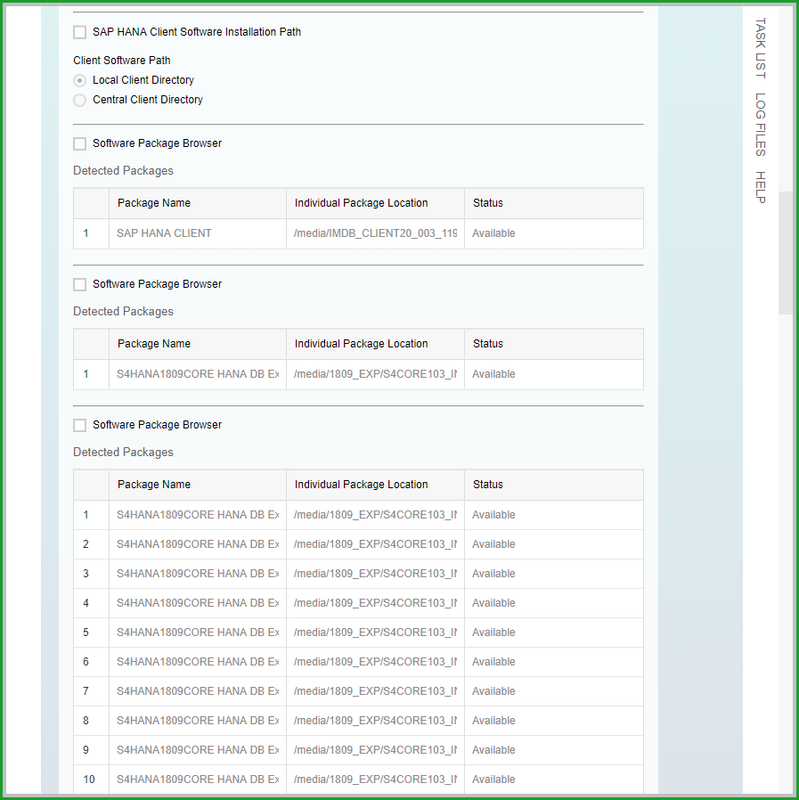 The MP provides a stack file to get to the component level I have shown and that includes the S/4HANA foundation selected as per this graphic in MP blog. Thank for the details steps. 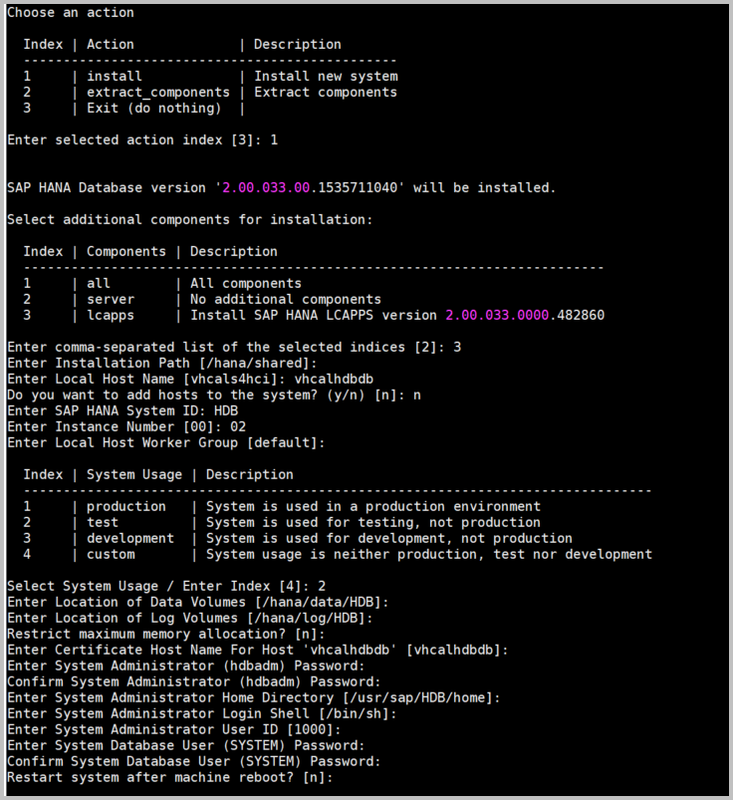 We are planning build a server which can be used as side-by-side ABAP extensions (not cloud) on HANA DB. So we only need ABAP foundation with out S4HANA on-premise components like logistics, master data, FI etc..
Can you provide us the steps and the components to select in 1809.. The reason we would like to choose 1809 is that it has the latest ABAP 7.53.
thanks a lot for your comprehensive blog. Could you tell me, where to find information, which SAP HANA components are mandatory and which ones are optional for usage with S/4 HANA? Where can I find information what these specific components are needed for? 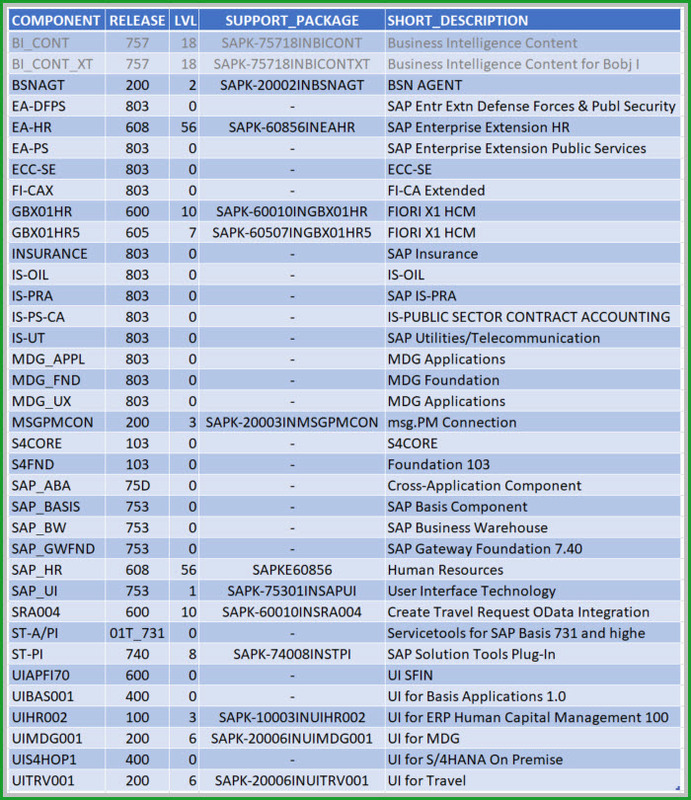 I cannot find any information in SAP Note “2000003 – FAQ: SAP HANA” and related notes. All 3 are optional for a base install. 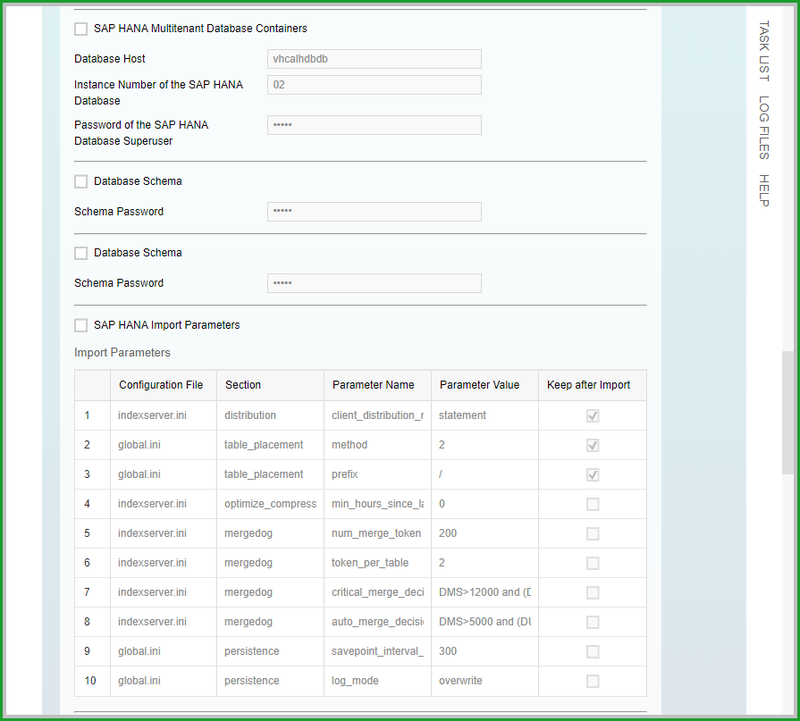 LCAPPS: If you plan to use the SAP S/4HANA Production Planning & Detailed Scheduling (PP/DS) application, it is important that you install HANA integrated liveCache, which is the HANA component SAP LCA (also called LCAPPS- or liveCache Applications plugin). 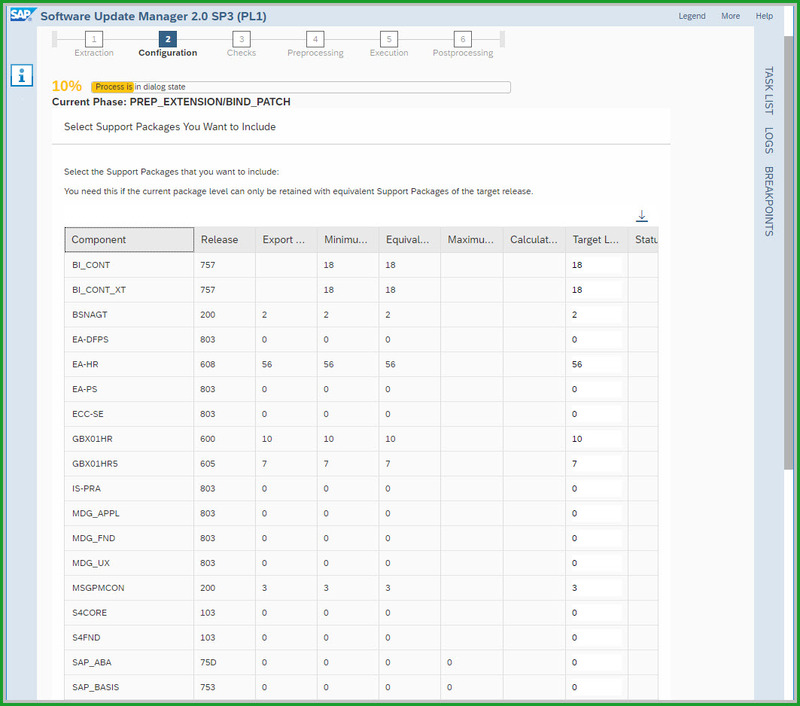 is “output management” >> “Maintain print queue”, available on S/4hana 1809 on premise version? Maintain Print Queues does not exist in on-prem. It works with Cloud Print Manager. Since CPM cannot work with spool, you cannot have Maintain Print Queues in on-prem.